This account was originally produced as a booklet entitled “Saint Columba’s: Fifty Years And More 1949-1999”, to celebrate the fiftieth anniversary of St Columba’s Church, which was first formed by the union of the Howard Street and Northumberland Square Presbyterian Churches in North Shields. The year 1999 also, incidentally, marked the hundred-and-fiftieth anniversary of the former Borough of Tynemouth, which was incorporated on 6 August 1849. Fifty years, however, is only the most recent part of our story. We can trace our roots back to the seventeenth century Nonconformist Christian heritage through seven local Churches, of different denominations, with a combined history of almost one thousand years. We have moved around a great deal over the past 347 years. 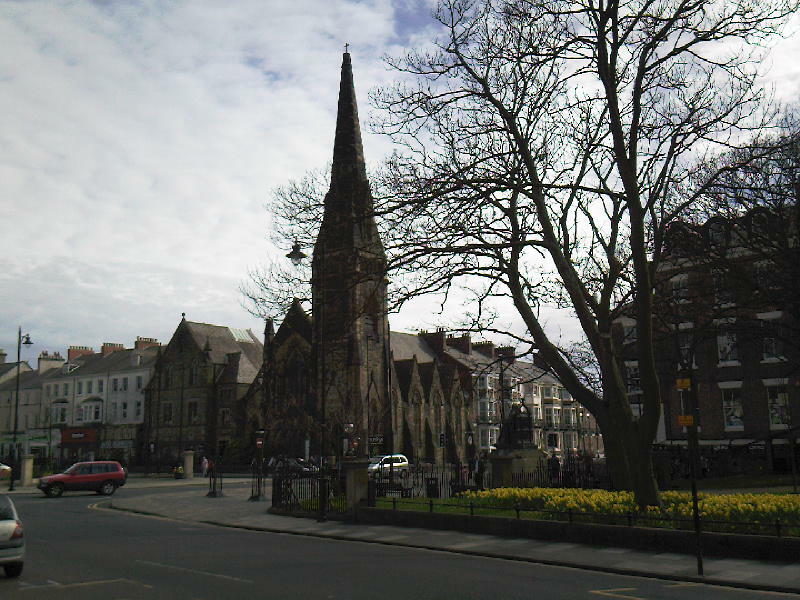 Churches have met in 21 different buildings and with the service of 86 ministers and lay pastors, at Bell Street; Camden Street; Charlotte Street; Church Way; Front Street, Tynemouth; Howard Street; Market Place; Milburn Place; Norfolk Street; Northumberland Square; Northumberland Street; Pottery Yard; Queen Street; Ropery Banks; Stephenson Street; Thorntree Lane; Verne Road; and Wooden Bridge. It must be remembered that North Shields in 1662 was very different from the town we know today. It consisted of a single street, with houses and industrial premises cramped together in very unhealthy conditions, in the narrow strip of land between the river and the steep bankside. It was 1763 before building was commenced above the old town, spreading out during the following century. 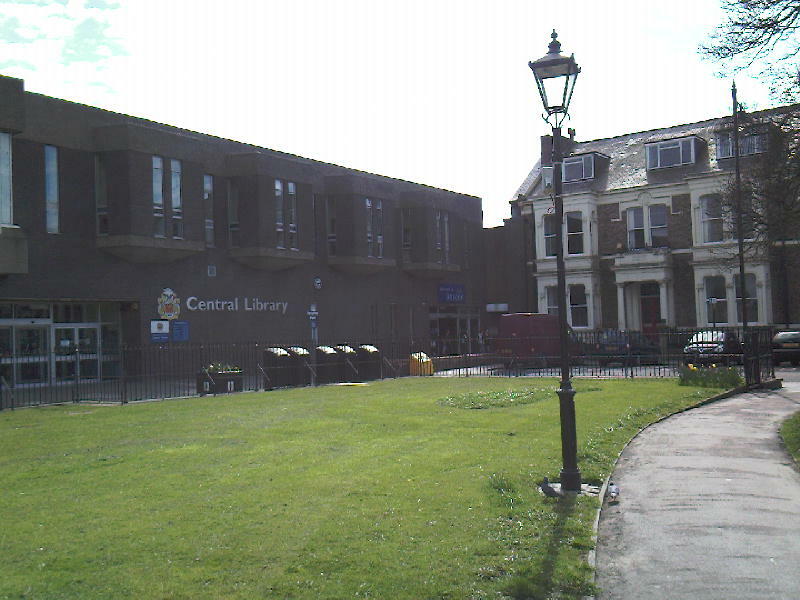 This church history owes a great deal to the useful resources of the Northern Synod Office of the United Reformed Church and the Local Studies section of the North Tyneside Central Library, as well as various church members past and present. I am only too aware that this small booklet can never tell the whole story, but hope that it may at least tell some of it, as accurately as possible. The Howard Street Church had its origin in the national religious tumult of “Black Bartholomew’s Day” (24 August 1662). Two thousand ministers resigned from the Church of England rather than accept the Act of Uniformity imposed on them by King Charles II. There was hardship and persecution along the way, but those early dissenters stuck fast by their principles and refused to be bowed by the considerable external pressures, and in so doing bequeathed a rich legacy to this present day. The Revd Alexander Gordon, a Nonconformist, and vicar of Tynemouth since 1659, was ejected from the parish. The Priory Church itself lay in ruins, the roof having fallen in, and Christ Church had yet to be built. The Revd John Lomax, the ejected rector of Wooler, came to North Shields and began to preach fearlessly to the local population, who had some sympathy for Presbyterianism. (The Presbyterian form of government was by councils of ministers and elders, rather than by bishops). Mr Lomax was born in Newcastle and held a degree from Emmanuel College, Cambridge. At first his congregation met in secret, some distance from the town. In 1672, he managed to procure a licence as an Independent teacher, operating from the house of Mrs Isabel Green, but this licence was revoked two years later and in 1682 he was fined £5 (a large sum in those days) for keeping a conventicle and preaching publicly contrary to statute. He stayed for thirty years until his death in 1693, practising as a doctor by day. He was buried at Tynemouth Priory. Dr Edmund Calamy, as quoted by the Revd Andrew Fallon has this to say about him: Mr Lomax was very comely yet grave, his manners being without affection. His conversation was enlivened with much pleasantry, was agreeable, his disposition obliging, and his temper so very serene that he was never seen to be ruffled or heard to rail at any person or party whatsoever. He was extremely tender of the reputation of others, and where he could not commend he was silent. His preaching was judicious and solid, and, though he used notes, that did not render him less acceptable to his hearers. It was a testament to the commitment of the few early dissenters, as not many of them were wealthy, because of the social stigma, that within a mere three decades around the turn of the eighteenth century almost 1000 new meeting-houses came into use in England. Gradually, the Nonconformists came to be tolerated, although it was not until 1870 that various civil and academic disabilities were finally removed. Our first meeting-house, in Thorntree Lane (later called Magnesia Bank) came into use in 1689, and a larger chapel was erected off Bell Street in the early eighteenth century. However, a crisis arose nearly a century after the Church’s formation. In 1754, there was a dispute over the preaching of Joseph Wilkinson, who apparently showed Unitarian leanings, which caused a great division in the congregation. A powerful element favoured him, whilst the majority, who wanted an orthodox trinitarian Presbyterian, were forced to withdraw and lost the buildings. They affiliated to the Church of Scotland and in 1759 managed to buy new premises at the Wooden Bridge on the Low Street in North Shields, but within months rapidly increasing numbers led them to erect a small building (called the “High Meeting” in contrast to the Unitarian “Low Meeting”) on the Ropery Banks above the New Quay. 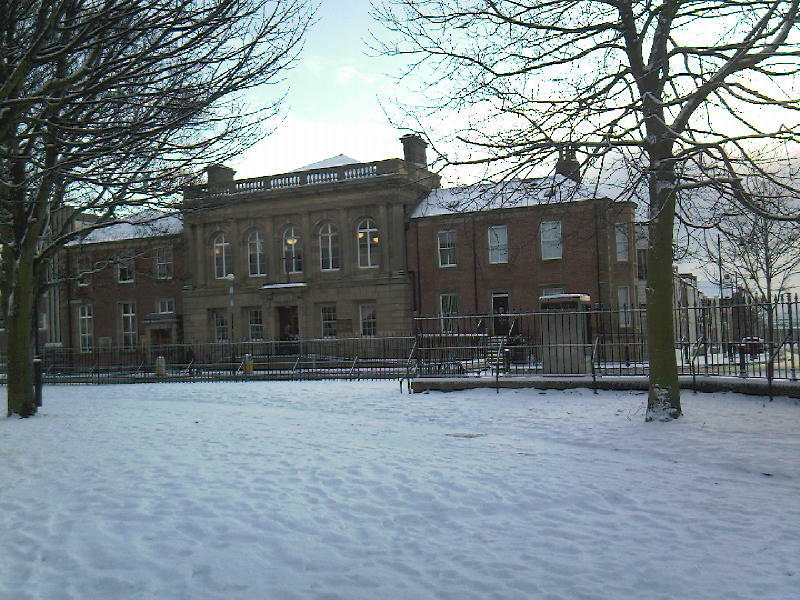 In 1810 they finally moved to the imposing Doric building, designed by John Dobson and built in Howard Street, then on the edge of town, with 700 seats. The Scottish connection ensured a succession of good ministers. One gave them 44 years of his life, and settled the “Scotch Church” on a steady footing once more after the shock of the split. “The Revd James Rae was no ordinary man” writes Mr Fallon. He had outstanding gifts as a minister. The congregation erected a tombstone to Mr Rae and his successor Mr Knox at Tynemouth Priory, describing him as a “faithful and laborious Minister of the Gospel.” Another significant minister was Charles Thomson. He was an energetic man, giving public lectures and “despising all manner of double dealing he gave expression without fear or favour to his opinions.” He did not suffer fools. During much of his time in North Shields, he served variously as Moderator, Clerk and Treasurer of the Newcastle Presbytery of the Church of Scotland, and was a leading light in the unification of the Presbyterian Church in England, being elected MOderator of Synod in 1839. 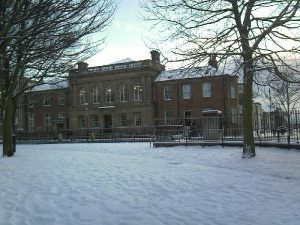 Charles Buchan was 22 years old when he came to North Shields, and he began a school in 1841, which continued until 1909. He left during the time of the Great Disruption in the Church of Scotland. His successor, George Duncan, was sympathetic to the emerging Free Church of Scotland. His congregation were of similar sentiments, and switched allegiance to the newly-formed Presbyterian Church in England. A Mount Pleasant Mission was run in Milburn Place during the 1860s. Under the Revd John Stewart, a choir was formed and hymns were sung for the first time (as opposed to metrical psalms). 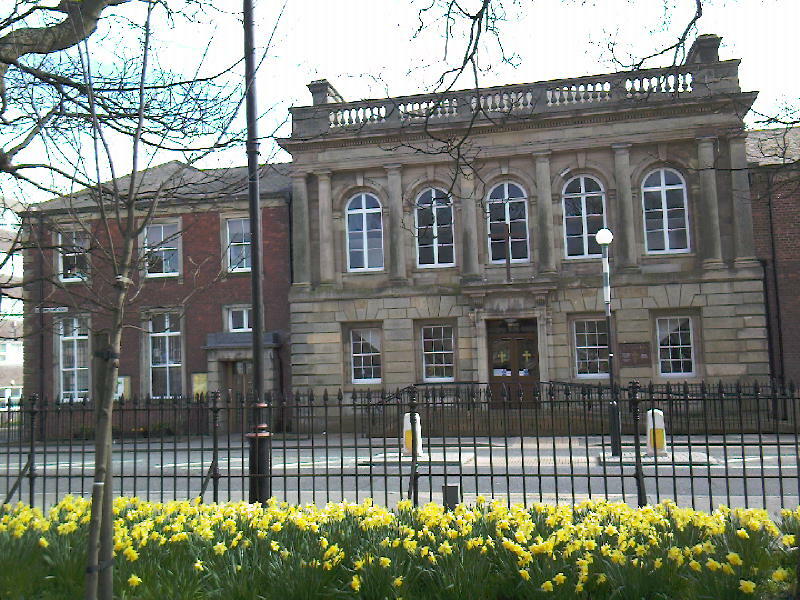 Under a long-serving minister, David Tasker, halls and the Sunday School were re-built. Mr Tasker was Moderator of the Newcastle Presbytery on several occasions and a prominent figure in the life of the Borough. The Howard Street Church continued in use until 1949, when the congregation united with the other Presbyterian Church in the town. The premises were subsequently sold to the Salvation Army. In 1779, there were several Scottish families living in North and South Shields who had to travel as far as Blackett Street in Newcastle for worship in accordance with their particular tradition. So, they petitioned the Anti-Burgher Presbytery of Kelso and were given grant of sermon. The Revd George More was ordained as their first minister on 21 November 1781 in a house in South Shields. Many of the early members came from as far afield as Sunderland, which must have made for a very long walk on a Sunday. The Tyne in those days was fordable at low tide from South Shields. The Anti-Burghers were a small and very strict Scottish sect with firm discipline. In one case a maid was hauled before the North Shields Session and admonished for “levity of carriage.” Even the minister was not immune from scrutiny of the orthodoxy of his beliefs. As we have already seen, the Presbyterians had a tendency to divide into splinter groups over small points of dogma. The first secession from the Church of Scotland had been led by the Revd Ebenezer Erskine in 1733, and it had later split again over the matter of the burghal oath. (The Anti-Burghers were those opposed to the taking of an oath upon entering into office as a burgess. Their disagreement with the Burghers ended only with the repeal of that law in 1820). From 1783, the Anti-Burgher congregation met in an old theatre in North Shields market place, until about 1788 when they progressed to a small chapel at the foot of Church Way; it seated 100. By this stage, the Church was strong enough to meet both North and South of the river, and a separate congregation emerged in South Shields. From 1809 they had a chapel in East Street, South Shields which was later known as St Paul’s. 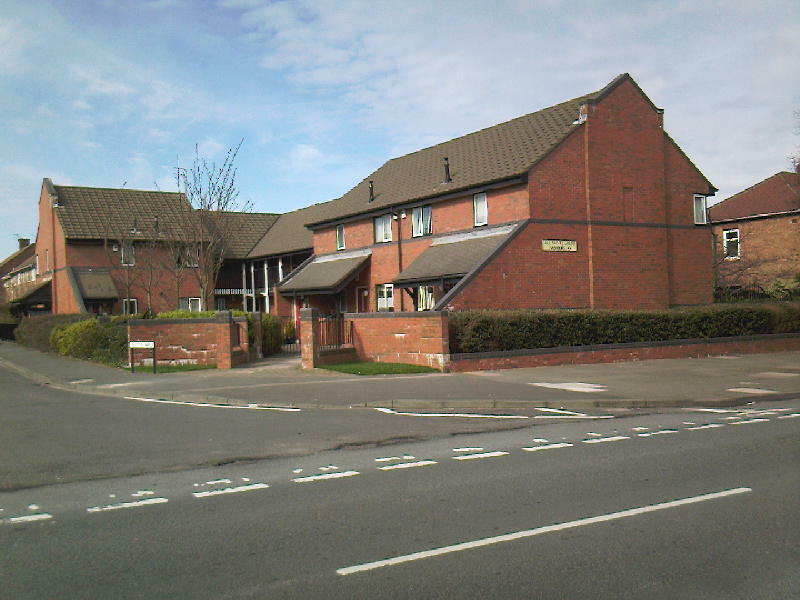 In 1968, St Paul’s united with St John’s (an English Presbyterian Church, which had had connections with the Howard Street Church), and the united congregation now meets in Beach Road. A legal defect in the title deeds forced the North Shields congregation to move to the “Haystack Chapel” (apparently so-called because of the resemblance of the roof to a haystack), located between Church Street and Queen Street, until 1812, when they moved into the premises in Ropery Banks recently vacated by the Howard Street congregation. Soon they were on the move again, this time to premises towards the lower end of Norfolk Street (which it seems had been the abode of the by then extinct Unitarian meeting). This happened in 1821, just one year after the formation nationally of the United Secession Church. By 1837, there were 80 communicant members and 47 more joined in 1842! There was sadness, too, however. Thomas Bowman, a young man, had served as assistant to Thomas Gilmour, but when the old minister died, the congregation decided not to call Mr Bowman as his successor, and instead chose a Mr Schaw. Unfortunately Mr Schaw then died and so Mr Bowman was called and agreed to come back. Erskine Fraser was their first minister to hold a university degree. William Salmond shocked his congregation by reading his sermon, and without wearing the customary black gloves in the pulpit. He later became a Professor of Theology in Dunedin, New Zealand. On the last Sunday of 1857, the congregation finally settled into the large new premises in Northumberland Square, designed by John Dobson in the Italian style, with adjacent rooms and halls built at different times and on different levels. The foundation stone was laid on 20 October 1856 by William Shaw Lindsay, Independent MP for Tynemouth, and the first sermon was preached by Dr John Ker of Glasgow. The West Wing and adjoining building society premises at 53-55 Howard Street had initially been found surplus to requirements and was disposed of, but by 1908 when the town house was bequeathed to the church by Joseph Robinson, the space was readily taken up. The East Wing was opened in 1869 and rebuilt in 1926. There were seats for over 600, and by 1877 there were 302 members. It is now a grade II listed building. 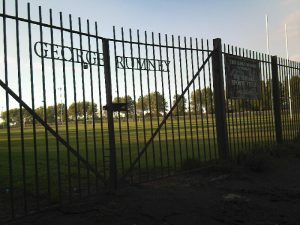 The Square Sports Field (once called Appletree Park) in Preston Avenue was leased from the Duke of Northumberland from the 1930s, but after a recent arson attack on the pavilion, it has been shared with the King’s School, Tynemouth. 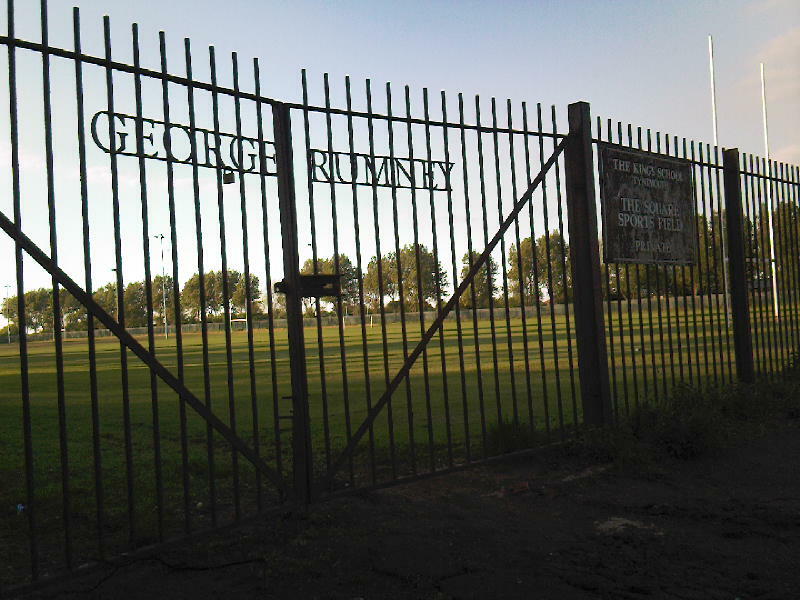 The new iron gates bear the name of George Rumney, who lovingly lavished so much of his time and energy on it. He was a stalwart of St Columba’s and saw the dedication of the gates from his wheelchair, shortly before he died in 1996 at the age of 87. The Presbyterian Church of England was formed in 1876, but the “Square Pres” stubbornly remained with the United Presbyterian Church until the following year. Then, for the first time, it was no longer possible to speak of the North Shields Church, for there were two in the town of the same sect: Howard Street and Northumberland Square. 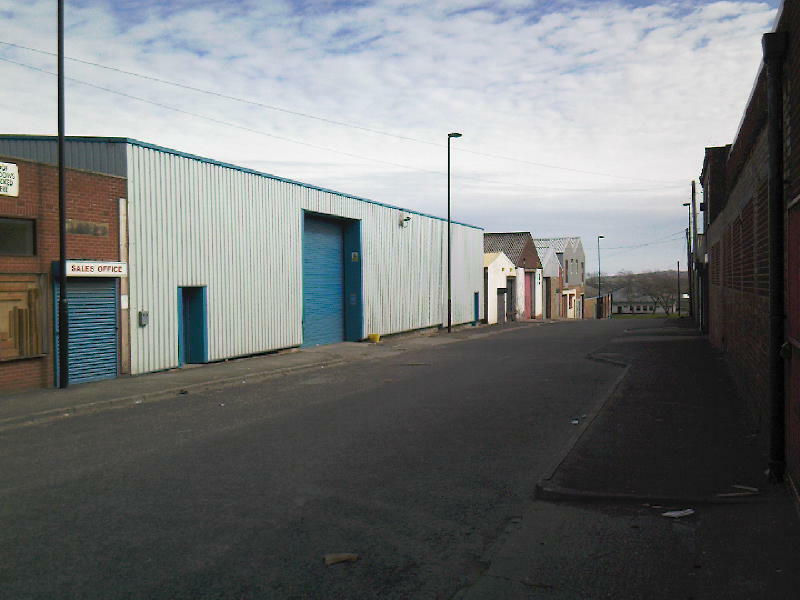 Howard Street, however was the larger, and had 370 members. Nevertheless, within ten years, Northumberland Square had surpassed Howard Street. Whilst the membership figures for Howard Street remained fairly static for the succeeding forty years, membership at the Square almost doubled, reaching a peak of 592 in 1929. These were the days when members paid a quarterly subscription to reserve their pew, and people had to arrive early in order to get a seat. This was a great period of activity, and in that year the Square Building Trust was set up, to build low cost housing for poor tenants. This proved a big success, the initial capital of £2,400 being raised in a single week by significant charitable giving. The Trust maintains some links with the Church to this day. A prominent elder, Rowland Lishman, was the leading light of the Men’s Bible Class, which he started in 1908. The Class continued to meet until 1992, when dwindling numbers forced it to close. One minister, David Christie, was instrumental in kindling the Presbyterian cause in Whitley Bay in the 1890s. From 1929 onwards, membership figures saw a decline, as in all churches in the country, and by 1949 both churches had only 546 members between them. It was decided to unite in a single town centre Church, selling the Howard Street premises and planting a new Church in West Chirton. The united Church met at Northumberland Square and took the name of “St Columba’s.” The minister at the time of union (March 1949), Dr George Barclay, was Moderator of the 1941 General Assembly of the Presbyterian Church of England. In 1817, there was another disagreement over the calling of a minister to Howard Street Presbyterian Church. This time, the majority refused to be bullied by the minority, who left and founded a rival Church of Scotland, called St Andrew’s, and ministered to by the losing candidate. The Church became Independent after 1820. Premises (with 650 seats) were bought near the junction of Camden Street and Northumberland Square. An early minister, Archibald Jack, was chairman of the Congregational Union of England & Wales in 1857. 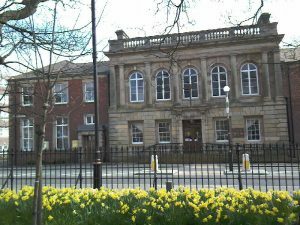 On 11 June 1822, the first charter of the recently formed Durham & Northumberland Congregational Union was signed, in North Shields. For a while, St Andrew’s operated a mission at Tanners Bank in the Low Lights area of town. Tynemouth Victoria Jubilee Infirmary began, amazingly, with St Andrew’s visitations of the sick with flowers. Dwindling numbers caused St Andrew’s to close in 1947, and the building was used as a warehouse for some years. The site is now part of the Beacon Shopping Centre. “Separatists” first emerged in the late sixteenth century in small, short-lived associations, also known as “Independents”, such as those led by Robert Brown in Norwich. Because authority lay with the congregation, and not with the ministers, it came to be known as “Congregationalism”. Each congregation was a “gathered Church”, which organised itself independently of all external influences. Tynemouth Congregational Church was founded in 1866. Apparently prior to that time, a group of Nonconformists had met with the Wesleyan Methodists in Percy Street, before they too moved to Front Street, in 1870. Two long-standing ministers were Alfred Norris and Samuel Pearson (who died in 1931, shortly after leaving the village). The Gothic chapel on the corner of Front Street and Colbeck Terrace held 500 seats, and was opened on 3 June 1866. It was designed by Thomas Oliver, and was quite a large building, catering both for the villagers and the increasing numbers of tourists. The tall spire was a later addition (1873). In 1884, two neighbouring houses were bought for use as a hall. Later, St Oswin’s Hall was built in their place. In 1954, falling membership led to a covenant with the Methodist Church in Front Street, which was brought about partly by the enthusiastic efforts of John Patton. The Methodist premises were sold, and the united congregation met in the Congregationalist buildings. John Patton, like Samuel Pearson before him, was chairman of the Durham & Northumberland Congregational Union, and sadly he died in post in 1968. Stephenson Street Church began with the temperance campaign of the Wesleyan preacher, John Broadbent, at first from the steps of the library in Howard Street. He soon gathered a crowd of converts about him, and they met in the Assembly Rooms (later named Broadbent Hall) above the George Tavern in Charlotte Street. Evidently Broadbent’s style was not to the liking of the existing Methodist establishment, and he was soon translated to another part of the country. In September 1870 the congregation met and re-formed itself as the “Evangelistic Temperance Church”, and called the Revd Harry Vian Williams as its first minister. The tale is told that the entire congregation met him at North Shields railway station with hymn-singing. Indeed they were so enthusiastic that when he expressed a wish to retire due to ill health in 1890 they persuaded him to continue as minister for a further 14 years! The foundation stone of new, larger (and more suitable) premises was laid on 7 September 1874 by Thomas Eustace Smith, Liberal MP for Tynemouth, who spoke warmly of ecumenism, at a gathering of 1000 people, attended by the President of the Durham & Northumberland Congregational Union and various local ministers, including David Tasker. It was built by Joseph Elliott and was opened in May 1875, seating about 500. In 1877, it became a Congregationalist Church, already with over 100 members. One of their ministers, Iona Williams, was chairman of the Durham & Northumberland Congregational Union in 1933. Members from the Camden Street Church joined Stephenson Street when their Church closed in 1947. John Smith (who retired at the age of 70) was General Secretary of the Durham & Northumberland Congregational Union in the 1950s, and Moderator of the Congregational Union of England & Wales 1954-1960. He was honoured by King Haakon VII for his wartime services to Norwegian seamen. The name “St Andrew’s” was taken at the time of the union with the Northumberland Street Church on 28 November 1964. At that time, Ernest Rose was secretary of the Northumberland Street Church and Ken McGill of the Stephenson Street Church. Walter Hartwell was another minister to serve as chairman of the Durham & Northumberland Congregational Union. Following the creation of the United Reformed Church, the decision was taken to close St Andrew’s, Stephenson Street on 31 March 1973. 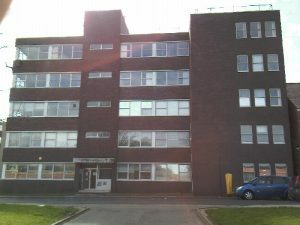 The site was purchased by the local council, and the Stephenson House office block was built in its place. In 1874, shortly after the foundation of Tynemouth Congregational Church, Alfred Norris launched a Mission in the poor slums near the Low Lights, together with four “Bible women.” A small girl’s school was started in a house in Pottery Yard. 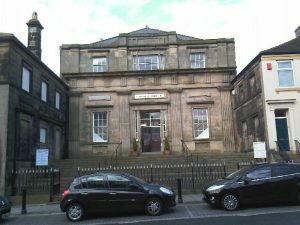 It was in 1880 that premises were obtained in Northumberland Street, and Bible class and gospel services actually began. John Cooper Drury was superintendent for 40 years. Larger premises were erected in 1886 and in February 1902 (this time with 250 seats and a Gothic façade). Much good work was done among the poor and needy at that time. For a long time the Mission had no minister of its own, but relied on supplied ministry. In 1929 it became a Congregational Church in its own right, and called its first minister, Cyril Steley, who died only recently, on 30 January 1998, aged 95. The Church benefited greatly from the long service of Miss Edith Moffat, who appears to have been the Church Secretary from 1880 until at least 1945! She also served as chairman of the Durham & Northumberland Congregational Union in 1930. John Patton, an evangelist in the 1930s, later became a minister and served at Ocean Road, South Shields and at Tynemouth. The Church closed in 1964 and united with the Stephenson Street Congregational Church, the building being used as a timber merchant’s store. As described in chapter 2, a daughter Church was opened in Verne Road, West Chirton from St Columba’s Presbyterian Church. A Sunday School begun in the late 1940s, was held in Collingwood School and run by Ella Gordon from 1952. Four years later, Miss Gordon moved to High Howdon to become the Presbyterian Church of England’s first ordained female minister. The Church, designed by Andrew Kerr Tasker (son of the Revd David Tasker) and built by Hastie D Burton, and was opened by Mrs Barclay and dedicated by the Rt Revd David Conley Eades on 4 December 1954. The foundation stone had been laid on 20 April 1954 by the Rt Revd Professor Thomas Walter Manson, then Moderator of General Assembly and a former member of Howard Street Church. After three years, the Church took the name “All Saints’.” In its short life it had only three ministers, of whom the longest-standing was Idris Owen. Fred McCree was session clerk and then church secretary for almost the entire life of the Church. In 1980, falling numbers led to its closure as an independent cause, and its reabsorption into the mother Church. Under the name of “St Columba’s with All Saints’ United Reformed Church,” both congregations continued to function, under the dual ministry of Mark Piper and Alan Spivey. The last service was held on Christmas Eve 1986, and the building, which had suffered from vandalism, was closed. The members greatly enriched worship at Northumberland Square, with many of them performing important leadership roles. One Church may have closed, but the resulting union had new life breathed into it. 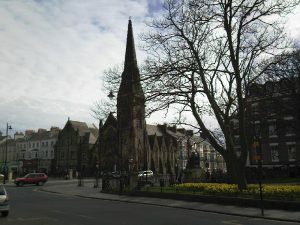 The Church achieved much as a beacon to the community of the West End of North Shields, but eventually that chapter in the story of the Church came to an end. The Square Building Trust built flats on the site, with the name of All Saints Court. St Columba’s is the fruit of a number of unions: in 1947, 1949, 1964, 1973 and 1980. In some cases these have meant a homecoming for different parts of the Church which had gone their separate ways for a while, but are now reunited. St Columba was a sixth century Irish priest, who sailed with a few companions to the Hebridean island of Iona and set up a monastery there. For over thirty years, he journeyed throughout northern Britain, preaching the gospel. His successor, St Aidan, founded the seventh century priory on Lindisfarne, bringing Christianity to the Northumbrians. The United Reformed Church in England and Wales came about after a long series of discussions, resulting in the union of the Presbyterian Church of England with the greater part of Congregational Church in England and Wales. The Uniting Assembly was held on 5 October 1972 in Westminster Abbey. Union with the Churches of Christ in 1981, included nine churches in Scotland, and our name was changed to the United Reformed Church in the United Kingdom. The United Reformed Church is so named because it follows in the mediæval Reformed tradition, with its emphasis on the teaching of God’s Word. Now, in 1998, the URC is in serious discussions with the Scottish Congregational Church, which are expected to result in a third union on 1 April 2000. The first minister to follow Dr Barclay was Arthur Macarthur, who subsequently had the unique distinction of being Moderator of the General Assembly of both the Presbyterian Church of England (1971) and the United Reformed Church in England & Wales (1974). His successor, John Hucker, sadly died in post. His son, Chris Hucker, is an elder of St Columba’s and is himself now training for the ministry. Coincidentally, the house in which he was until recently living was previously the home of the Revd David Christie, a nineteenth century minister of Northumberland Square. Although numbers on the roll of members have fallen from 546 to 156, the church is still active in its life of worship and service. Throughout the year, members work to raise money for various charities, in addition to church funds. Ministerial stipends have varied greatly over the years, the Howard Street Church paid £275 pa in 1937 whilst the Northumberland Square Church offered £400 pa. In 1788, a stipend of £30 was offered. In those days it was up to the individual congregation how much they paid their minister, although central Church did operate funds to aid needy Churches. The Congregational Union set minima in 1925 of just £220 pa for town ministers and £180 pa for rural ministers. Nowadays the United Reformed Church pays all ministers from a central fund, into which all Churches pay, according to a formula. Many activities take place at St Columba’s every week: keep fit classes, Traidcraft stall, coffee mornings, Thursday lunches, Rainbows, Scottish country dancing, HANDS (Here And Now Doing Something), the ladies’ guild, the Robins club, Parents and Toddlers, the various Care Teams, Sunday and Tuesday services, the Fellowship and Junior Church . The 4th Tynemouth Cubs and Beavers meet at their own headquarters in North Road, Preston village. Now, at the beginning of the third millennium, St Columba’s is planning for the future. In 2007, the premises were sensitively redeveloped, at a cost of over £600,000, to make them more user-friendly an open them up for greater church and community use. The planning and fundraising for the community accessibilty project has taken nearly ten years, overcoming several setbacks along the way. As part of the redevelopment, the former caretaker’s house and the West Wing were sold and converted into apartments. During the refurbishment, a community arts and oral history project was carried out, with comparisons with Muslim and Hindu groups on Tyneside. When Trinity United Reformed Church in Whitley Bay closed in 2008, several of the members, whom we had come to know over the years, came to join St Columba’s.